A man who made death threats to a weekly newspaper editor who refused to take down a story with his name in has appeared in court. Robert Mansfield, 24, is alleged to have issued the threats to Leo Whitlock, who edited the Kentish Gazette, East Kent Mercury and Thanet Extra until last month. Margate magistrates heard Mansfield, left, had complained over the phone about a web article which referred to him as a victim of a stabbing on 18 October last year. Lynda Huppatz, prosecuting, told the court Leo denied his request for the article to be taken down, at which point Mansfield is alleged to have threatened to kill him and saying he would put the editor “six foot under”. Mansfield denies the allegation and pleaded not guilty to making a phone call which conveyed a threat for the purpose of causing distress or anxiety to Leo. Mansfield, of Margate Road, Ramsgate, was bailed with the condition he must not enter any KM Group office for any reason and must not contact Mr Whitlock. 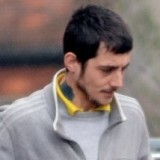 He will face trial before Margate magistrates on 22 May. Leo left his role last month to take up a new post as head of communications at Canterbury City Council.